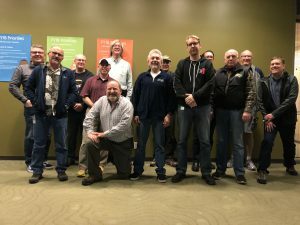 MicroHAMS Amateur Radio Club – Microhams is a dynamic organization of hams in the Puget Sound area. 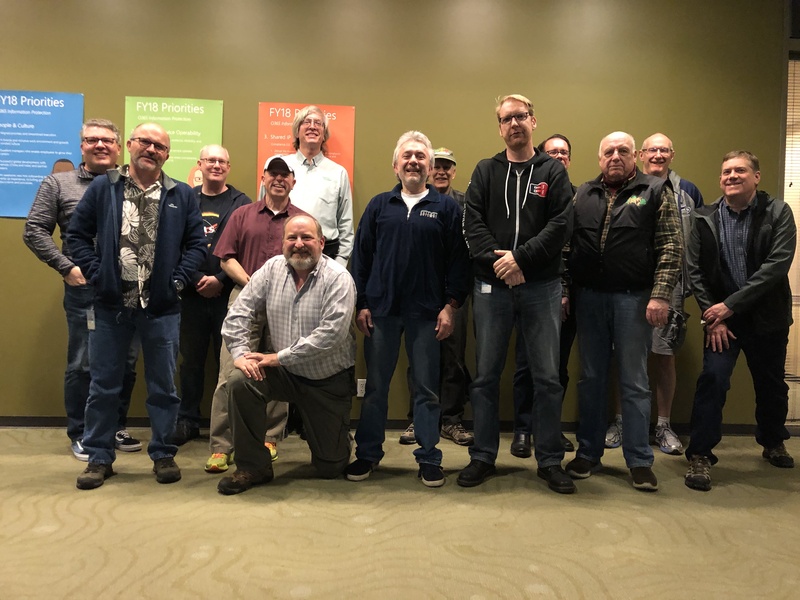 There were several ‘old timers’ who attended the April 2019 meeting and a group picture taken. Probably the best picture of the group. Have you ever wanted to find a simple way to connect a couple of sensors or other devices to your Arduino or other micro without using up all the pins? Or, have you ever had a tough time sorting out why your sensors aren’t working the way they were supposed to? Or do you might want to find an easy way to look at the real performance of a new device you just purchased on Amazon? You’re in luck! At the next MicroHams meeting, Grant Hopper, KB7WSD will cover some information about the two wire I2C bus, I2C design, and debugging, focusing specifically on using the new and inexpensive I2CDriver device from Excamera. There will be a discussion and some demonstrations as well as an opportunity to examine the I2CDriver board. If you don’t know everything about amateur radio yet, that’s OK. As a club, we have a broad spectrum of interests and experiences. Please feel free to ask questions at this part of the meeting. With 20 hams, there’s bound to be 40 different answers! SECURITY NOTE: Anyone who does not have their own Microsoft badge for unescorted access to Microsoft buildings MUST be escorted into Building 35 and conference room 4561 by a badged MicroHAMS member. Do NOT under any circumstances attempt to “tag” onto or “tailgate” Microsoft employees entering the building. Please congregate about five – ten minutes before the meeting outside the lobby entrance on the south side of the building. If you have a Microsoft badge, please check outside the front entrance for other club members who need to be escorted. MicroHAMS meetings are open to club members, those interested in joining the club (see club membership policy at http://www.microhams.com), and guests of club members. Others may also attend a club meeting by sending email to the club at least seven days prior to the meeting. Space for guests is limited. Pulling together all the links for the different talks will take a couple days, but here is the draft summary for all the talks from the 2019 MHDC. All of the slide decks are available now and the table below has bookmark links to the individual talks. The entire raw live stream is available now. The agenda for the conference has been finalized. List of proposed speakers and topics: The speaker and topic list for MHDC2019 is available now. The speaker and topic list for MHDC2019 is available now. We are finalizing details for the conference and will open registration shortly. Speaker: Grant Hopper. Grant Hopper will be speaking to the Law and how it pertains to Amateur Radio. He has been working with more than a dozen major communities in the Puget Sound area on matters related to amateur radio. Grant has been a Volunteer Counsel for more than 15 years and has consulted on dozens of tower cases and continues to research the law and its application to amateur radio.